Dr. (Wg. Cdr.) Ashis Roy born in 1932, served in the Indian Air Force for 21 years and after retirement settled in New Delhi in 1978 as a Practicing Physician Cardiologist. At the age of 50 years Dr. Roy took up jogging and running to maintain good health. He ran his 1st Marathon at the age of 52 years and at 80 years old now, he has completed 115 marathon races, which is a National record for men in India. 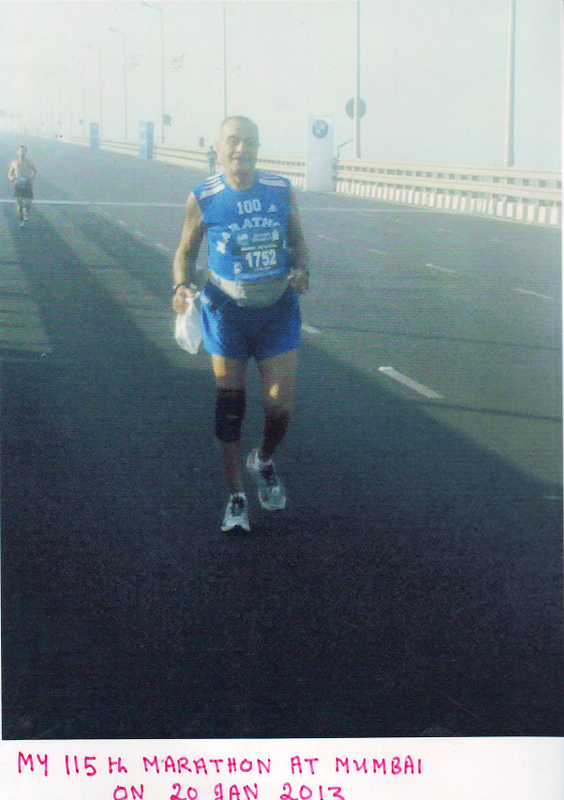 His latest and 115th marathon was in Mumbai on 20nd January, 2013. His achievements in the field of most strenuous sports of running 42.2 Km. marathon, is the rarest example of extraordinary excellence in sports. His achievements are enumerated in the following paragraphs. Roy holds the Indian Record of marathon for 55+ age group in 3 hours 10 minutes made in August 1987 at Delhi and still unbroken. Roy is the first Indian to have run a marathon race after attaining the age of 60 years as well as 70 years. 1. New York City marathon – 2 November 1997 (Age – 65 years). 2. 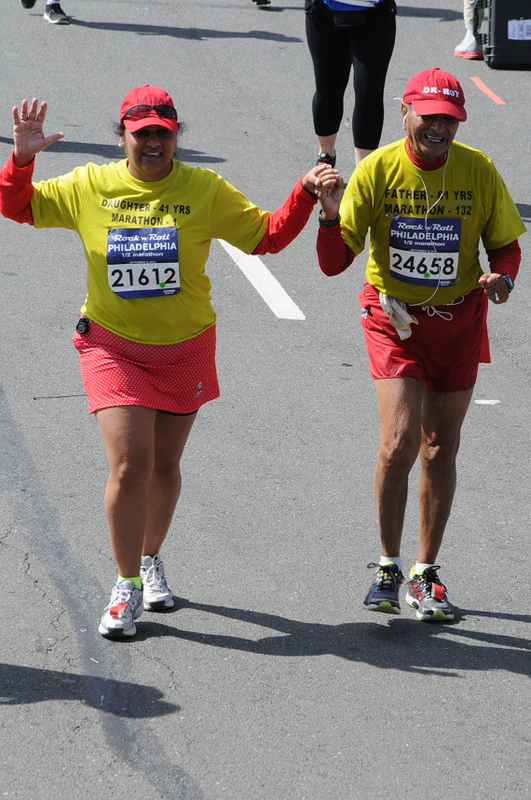 Rhode Island Marathon – 9 November 1997 (Age – 65 years). 1. Rotterdam Marathon – 19 April 1998 (Age – 66 years). 2. Wroclaw Marathon – 26 April 1998 (Age – 66 years). 2. 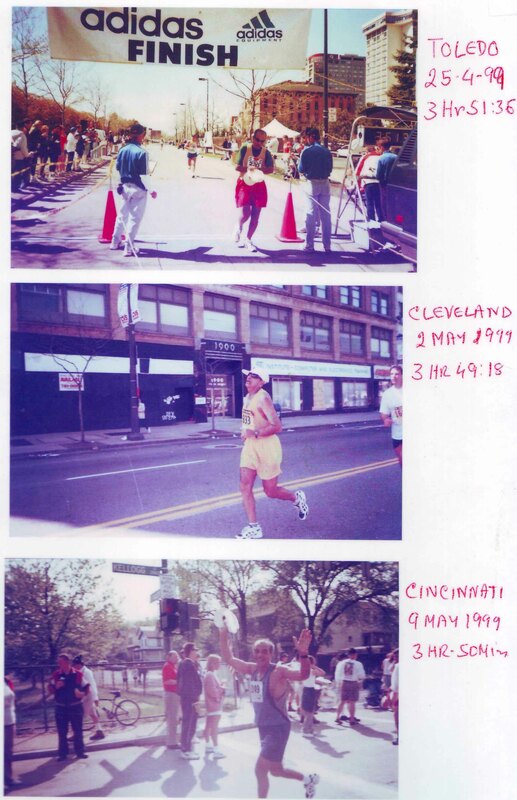 Cleveland Marathon – 2nd May 1999 (age – 67 years). 1. Prague Marathon – 18 May 2003 (Age – 71 yrs). 2. Vienna Marathon – 25 May 2003 (Age- 71 years). Roy has run 13 marathons in the year 2009 as given below at the age of 77 years. Indian National record Half Marathon Held By Ashis Roy. Dr.Ashis Roy ran RATH Half Marathon at Delhi in July 1987 and finished in 1Hr 22.47 min making a new National record for men 55 Plus.This record ramins unbrocken still the year 2015. 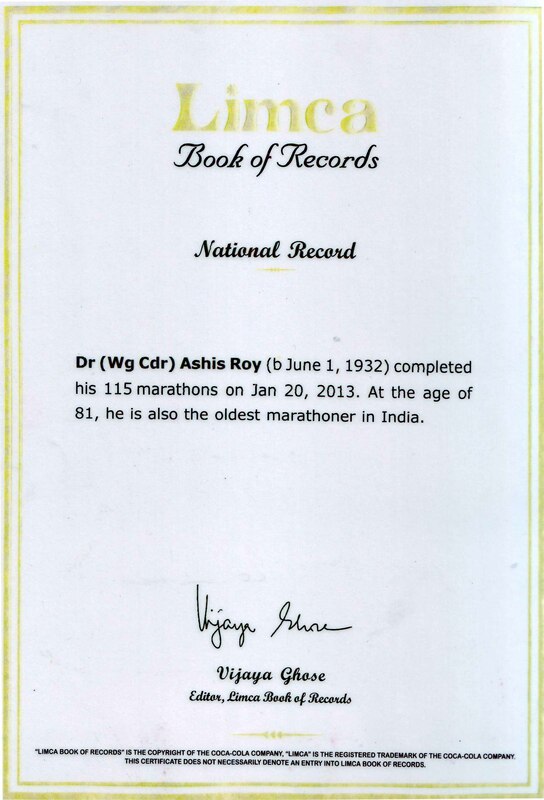 Indian National Record Of Full Marathon Held By Ashis Roy. In Aug 1987, Dr.Ashis Roy ran a full Marathon of 42.2 km distance in Delhi on 18th Aug 1987 for selection of world vetrans games to be held in Melbourne (Australia) .Dr.Roy ran this marathon alone in the heat of 38 celcious in bare bodied and ran on the road around Nehru Stadium 17 times .He finished the marathon in 3 Hrs 10 Mins making a National record of marathon for age group of 55 plus.This record ramins unbrocken still the year 2015.
unfortunatly there is no picture of the race was available since the race held. You will be happy to know that Ashis Roy have run his 112th marathon on 18th July2011. 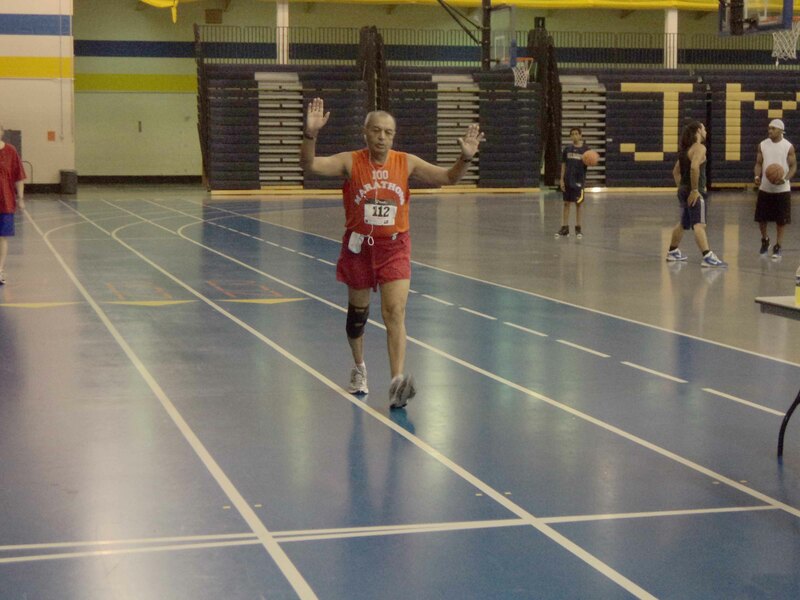 Successfully running in the 2nd edition of Grand Pierce Indoor marathon held at the Indoor Stadium of Thomas Jefferson Community center at Arlington located on the outskirt of Washington DC. The indoor stadium has 200 meters synthetic track and runners had to run anticlockwise 211 rounds of the track with continuous left turn. This caused painful swelling of Ashis Roy’s right osteo-arthritic knee and he was forced to stop after 14km to apply ice and wear a knee-support to the right knee. There were only 10 competitors including one woman and Ashis Roy was the only one above 70 years and finished in slow time of 6hrs 59 min in 9th position beating another runner of 40 years. The race director announced that Ashis was the first man above 70 years in the world to run the Indoor marathon. After running indoor marathon in July, 2011 in USA (112th), and then the Self Transcendence Marathon (113th) in August same year, developed acute pain in the back and after returning in September to Delhi back pain continued. Finally Dr. Roy developed paralysis of right leg. The diagnosis was spinal injury caused by dislocation of last two vertebrae. In November, 2011 Neuro-surgical operation was conducted by Neuro-surgeon at Max hospital, Delhi for four hours and 6 nails were fitted in the last two vertebrae. Dr. Roy struggled for following three months to move and finally fought back and started walking and then gradually started running again. He ran his first Half-marathon of 21.2 Km after six months of his operations in USA. After returning in October, 2012, he ran his 114th Full-marathon at Gurgaon, Haryana in December, 2012. 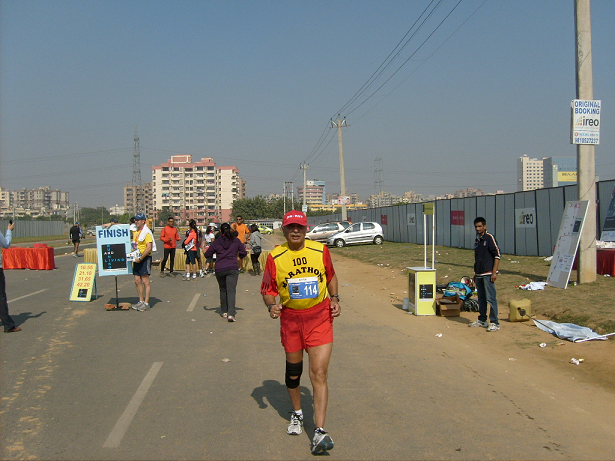 Running picture of 114th marathon in Gurgaon, Haryana where he is seen struggling to run due to the injury and he seen bending towards the right. 115th Full-marathon in Mumbai in January, 2013.This became the Indian record of the Highest number of marathon ran by an Indian and have been published in Limca Book of Records as National record. After 115th Full-marathon in Mumbai, Roy decided to stop running Full-marathons and switched to Half-marathons of 21.1 Km distance. LIST OF HALF MARATHONS RUN BY DR.[WING COMMANDER] ASHIS ROY. Date Of Birth – 1st June 1932. Place of Birth – Shillong. NAME OF THE RACE. DATE AGE FINISH TIME. 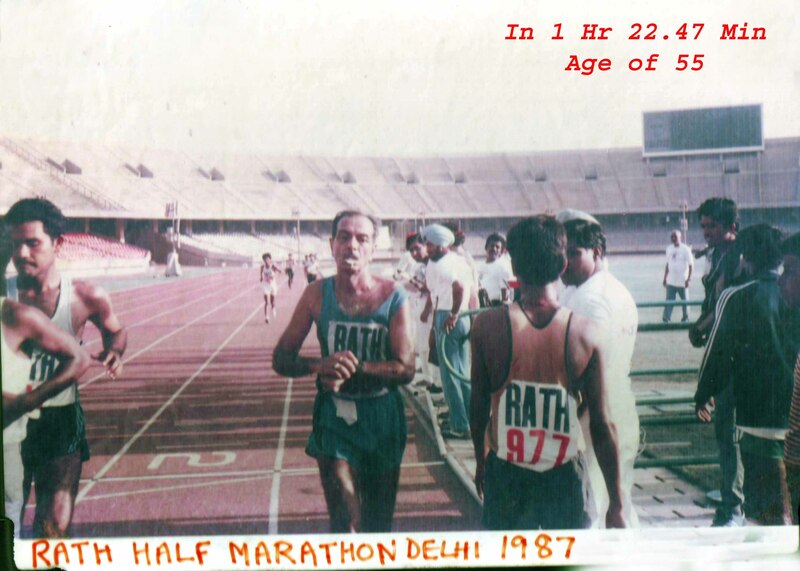 1 Rath Half Marathon, Delhi -- 18 November1984 --52yrs.-- 2Hrs 10 min. 3 Run For Truth Delhi Half Marathon -- 1995 62yrs. – 1Hr 40 min. 4. Rath Half Marathon Delhi 16 February 1997 65yrs. ---1Hr 42 Min. 5. Delhi Half Marathon 16 October 2005 73 Yrs ---2 Hrs 10 min. 6. Airtel Delhi Half Marathon 16 October 2006 74 Yrs --- 2Hrs 15 Min. 7. Airtel Delhi Half Marathon --------- 16 October 2007. 75 Yrs ----2Hrs 55 Min. 8.Airtel Delhi Half Marathon ---------- 9 November 2008 76 Yrs. 2Hrs 48 Min. 9. Gurgaon Half Marathon ----------- 7 December 2008 76 Yrs 2 Hrs 45 Min. 10. Airtel Delhi Half Marathon -------- 1 November 2009. 77Yrs. 2Hrs 57 Min. 11. Airtel Delhi Half Marathon ---------- 23November 2010 78 Yrs. 3 Hrs 01 Min. 12. Alexandria[USA] Half Marathon------- 25 May 2012. 79 Yrs 3Hrs 10 Min. 13. Airtel Delhi Half Marathon ------------20 December 2012. 80 Yrs 3Hrs 46 Min. 14.Alexandria[USA] Half Marathon ------26 May 2013 81yrs 3Hrs 43 Min. 15.SanFransico[USA] Half Marathon ---- 16 June 2013 81yrs 3Hrs 37 Min. 16.Whitby[Canada] Half Marathon ----11 August 2013 81Yrs 3Hrs 17 Min. 17.RockNRoll Philly Half Marathon ---- 15 September 2013 81 Yrs 3Hrs 24 Min. 19. Airtel Delhi Half Marathon ------- 15 December 2013 81 Yrs. 3Hrs 24 Min. 20. FormulaOne Track Half Marathon NOIDA—16 March 2014 81Yrs 3Hrs 29 Min. 21.Delaware Half Marathon[USA] 11 May 2014 81 Yrs. 3Hrs 48 Min. 22. 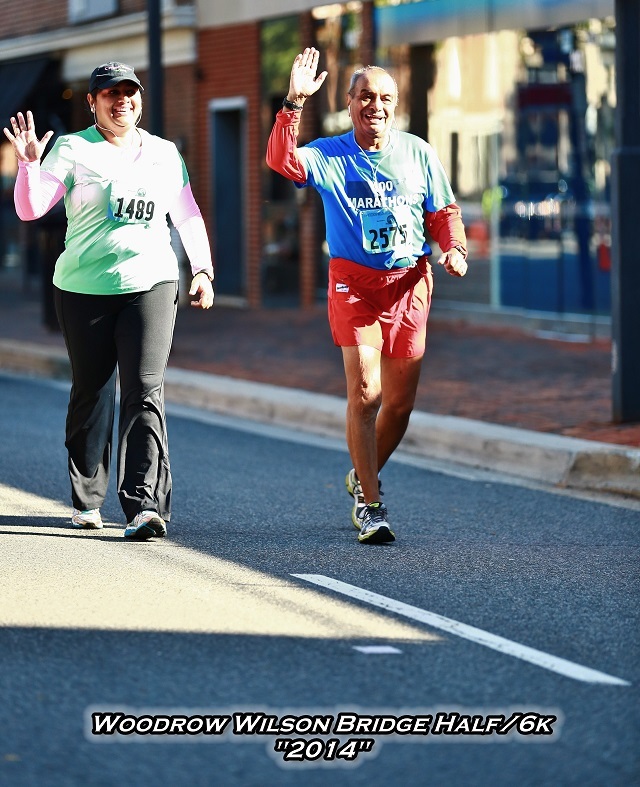 Alexandria[USA} Half Marathon ----- 25 May2014 81Yrs 3Hrs 32Min. 23.Navy Air Force Half Marathon[USA] ----- 14September2014 82 Yrs. 3Hrs 28Min. 25.Air Tel Delhi Half Marathon [India] – 23 November 2014 - 82 Yrs -- 3Hrs 30 min. 26. Gurgaon Half Marathon [India] -- 14 Th December 2014—82 Yrs – 3 Hrs 35 Min. 27.Potomac River Half Marathon – 3rd May 2015 - 82 years -- 3hrs 52 min 57 sec. 29.RockNRoll Half Marathon Chicago- 19th July2015 – 83years – 3hrs 55:29sec. 30. Navy Air Force Half Marathon Washington[USA] on 20th September 2015 – 83 years—3hrs20:06 min..
31. Airtel Delhi Half Marathon [ India] on 29th November 2015 – 83 years --- 3hrs 38 min. In the year 2013, he ran 5 Half-marathons in USA at Alexandria, San Francisco and Philadelphia rock n roll marathons where he ran with his daughter who was 41 yrs old and became the first father-daughter team of India to run the marathon. Roy stood 2nd in his age group of 80+ men category and a trophy was sent to him by post later. In the year 2014, Dr. Roy ran seven Half-marathons with three in India and four in USA. 5. Woodraw Wilson Bridge Half marathon Washington (USA) – Ran along with daughter as father-daughter team. Stood 1st in 80+ men category.